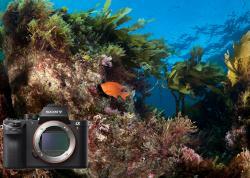 Best underwater settings for the Olympus PEN E-PL5 and previous PEN cameras. 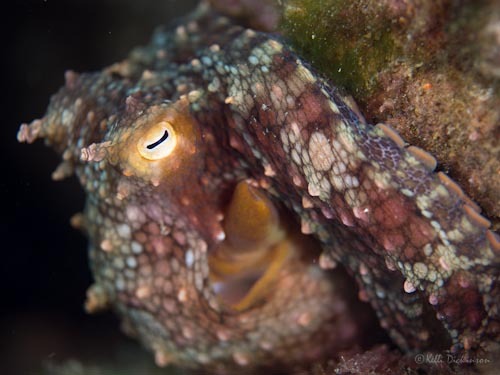 The Olympus PEN cameras (E-PL5, E-PL3, E-PM1, E-PL2, E-PL1) have become by far the most popular mirrorless cameras used in underwater photography. In this article we discuss our recommended settings for getting the most out of these excellent cameras. Below I've compiled several good starting camera settings for different shooting situations. Next is a list of the most important, or required, settings that are crucial to change in your PEN system when shooting underwater. In addition I take an in depth look at all the menus on the camera so you can fine tune your camera for the best underwater shooting experience. 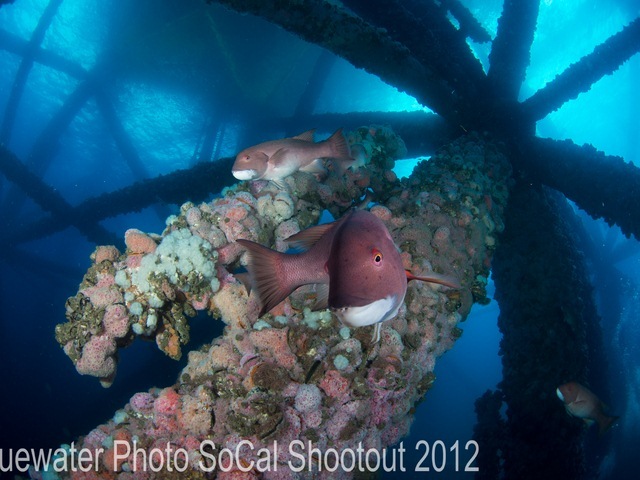 Actual settings will vary based on your diving location and conditions. Take a look at the following suggestions below as a great starting point for shooting with your Olympus PEN camera. These settings were written with the Olympus PEN E-PL5 as the basis, previous models may not offer all the same features, or may have different limitations. Where I know a difference I have noted it. 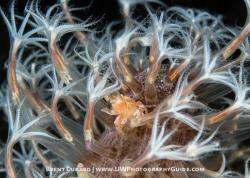 Available in the Nauticam E-PL5 housing only. TIP - for ambient light photography, you may need to open your aperture to F5.6 or F4 and increase the ISO to ISO 400, 800 or 1600 to let in more light. The Olympus PEN cameras work well straight out of the box, however there are some important menu and setting changes that you will want to make sure to do for the best shooting experience. 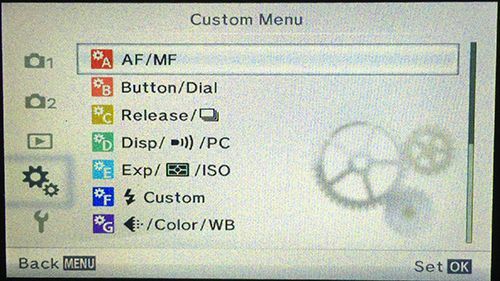 1) Custom Menu Options - On the PEN cameras the Custom Menu is usually not turned "on" There are many important features (such as Live View Boost) that you can only access in the custom menus. 3) Flash modes - if you are using an underwater strobe with TTL you will use the single lightning bolt "Fill in Flash" mode on the camera. 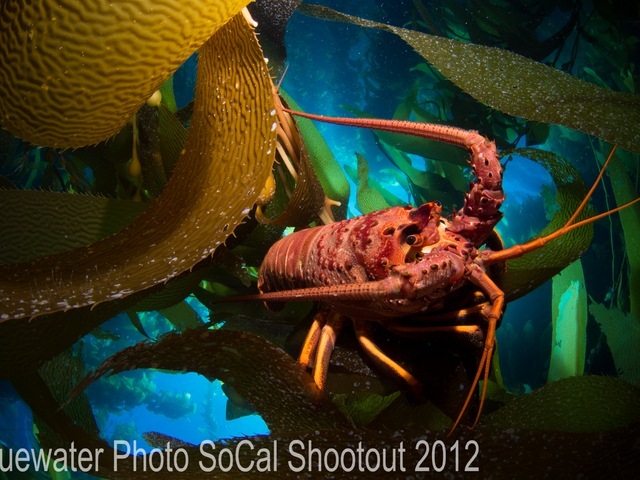 However, if you are planning to use the underwater strobe in manual mode you can save battery life by changing the camera flash mode to "Manual Value" through the quick menu. This is also beneficial because using the internal camera flash at a lower power means less recycle time and helps eliminate any delay on being able to take a picture. 5) Rec View - this sets the length of time an image review is displayed after taking the picture. Default is 0.5 seconds. 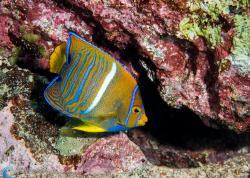 For underwater use, 2 seconds is usually recommended so you have a chance to quickly gauge that exposure and focus look good before taking another picture. If 2 seconds is too long, set it to what you desire, or simply press the shutter halfway down to cancel the review. The Olympus housing is a well designed option if you are on a budget and don't want to spend the money on one of the more expensive Nauticam housings (if available). There are a few limitations, but for the most part set up is the same. PEN cameras are the slimmed down versions of their big brother "OMD" series cameras. They do not offer as many button options or customizeable features. These cameras are effectively plug and play. 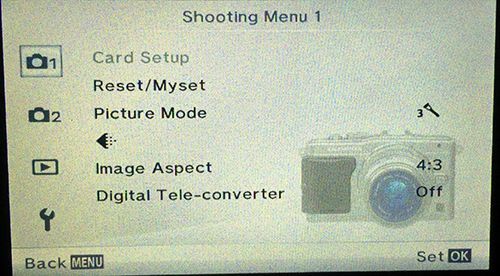 Once you've changed the settings listed above to ensure the camera will function properly in the housing you are pretty much good to go. Picture Mode - This menu sets the look of your pictures, it is completely a personal choice to change, I prefer the default, Natural, then fine tuning the image on the computer afterwards. Some users prefer Vivid, especially if they are shooting jpeg, because it enhances reds & oranges. Digital Teleconverter Leave at default of OFF. AF Mode - I recommend setting this to S-AF (single AF). This is default for still images but not for video. 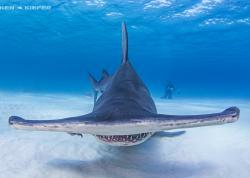 C-AF, continuous auto focus, I find is too slow to accurately catch moving subjects and often hunts more frequently in the low light underwater conditions. You can halfway press the shutter during video to refocus when needed. Note: continuous auto focus has been significantly updated on the E-M1, so it can be a more useful tool with that camera. 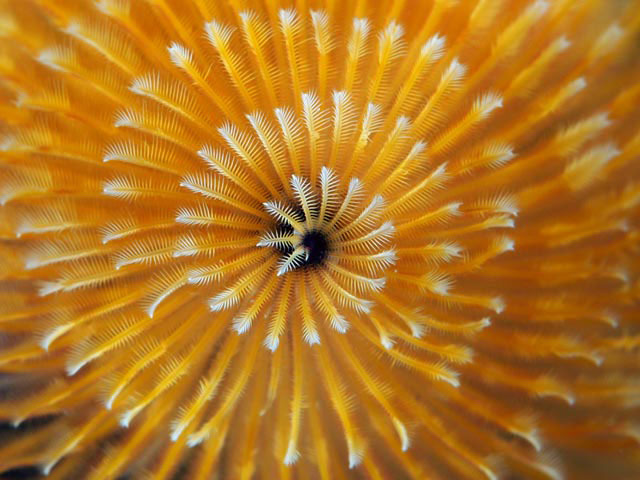 AEL/AFL - This is a very handy feature, especially for underwater as it allows you to set focus lock separately from the shutter button, so that you can lock focus and then take several images without refocusing. This option isn't as great in the PEN housings when an Fn button is available due to the location of the button the housing. For the E-PL5 it may work OK if you assign the Fn button to AEL. 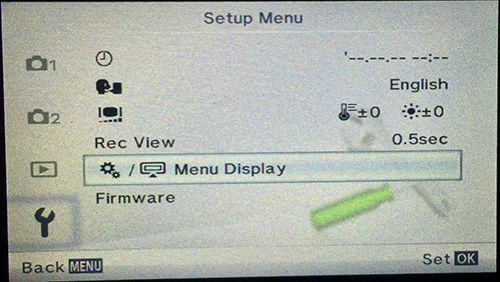 Here are the settings I would pick if you would like to do so, however these are only effective if you have assigned AEL/AFL to one of the customizable buttons through the B Custom Menu. AF Illuminator - OFF - this is the small red AF assist light on the camera. It won't shine through the black housing so turn it off to save battery life. 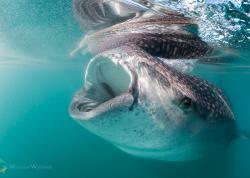 If you use the camera both topside and underwater and don't want to hassle with constantly changing it then leave it on, it will not affect picture taking. Face Priority - OFF - this automatically focuses the camera when it detects a "face" however underwater it can mis-detect and cause issues, will not detect faces in masks so it is not needed. Other settings in Button Function menu allow you to modify the action of the keys listed. Note: L-FN refers to the button available on some lenses. Button Function - You can customize the Fn button to your liking, there are a variety of options to choose from. 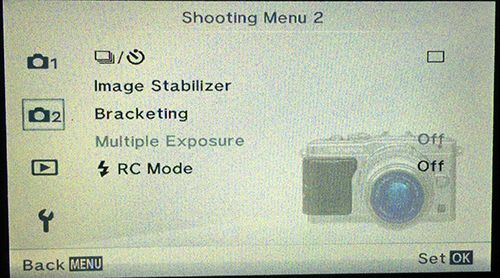 My recommendation, as stated above, is to select "One touch WB" which shortens the white balance process. However as outlined previously you can also choose AEL/AFL if you want to try to split out your focus. PEN cameras - this is the control wheel on the back of the camera (E-PL3 and E-PL5 only). For the PEN cameras, this function is moot because the Olympus housings do not have a wheel on the back. Dian Lock - leave a defaul "ON"
Camera Control Settings - this gives you options for the display of the quick menus. When the EVF Auto switch is turned off you can only access one of these. Default is the Live Control, Olympus' standard type menu. 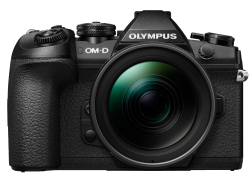 The other option is the Super Control Panel, the new style for the OM-D that mimics many dSLR cameras. To activate the SCP, turn off the LC and turn on the Live SCP. Live View Boost - This must be turned on to aid in viewing the LCD underwater in dark shooting conditions. See section above with instructions. Anti-Shock - Default OFF - this creates a delay between when the shutter is pressed and actually released to aid in limiting camera vibrations. Not needed underwater. X-Sync - Default (1/320 for E-M1, 1/250 for E-M5 and EPL5, 1/160 for earlier PEN models) this sets the fastest default Shutter Speed at which the flash can fire. NOTE: These flash settings do not matter for Manual Mode, the flash fires based on the shutter speed selected when in Manual Mode. However 1/250 is the highest option available for the OM-D and EPL5, 1/160 for earlier PEN's. 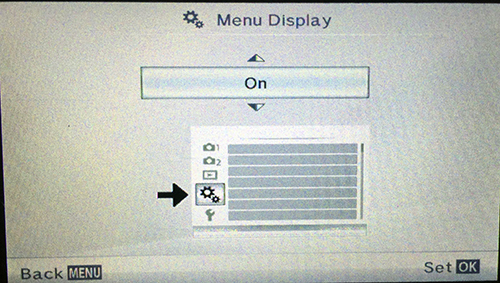 Menu Display - this allows you to activate the custom menu. It is highly recommended to make sure the custom menu is turned on. 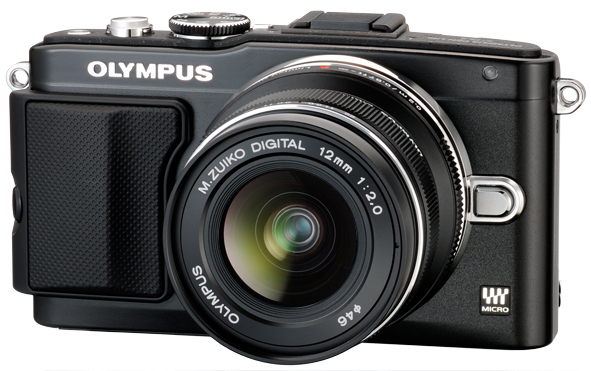 Be sure to read Bluewater Photo's Best Settings & Shooting Guide for the Olympus E-PL7. If you have any further questions on setting up your Olympus camera or any issues with camera functionality, please post a question in our forums.